At first sight, the place held by education in Ibn Khaldun's sociology appears uncertain to say the least. What today we understand by the term ‘education'—the replication of individuals and groups, firstly at the level of values and secondly at that of knowledge and know-how—is found in the Muqaddima only in a scattered and incomplete fashion. More important, Ibn Khaldun makes no use of a general concept of education. This is all the more surprising as he accustoms us elsewhere to a systematic approach to the main phenomena of life in society. However, upon closer view we discover that this ambiguity and these lacunae in fact reflect the state of the Muslim system of education, and we are forced to admit that, in this field as in many others connected with the knowledge of Muslim society, Khaldun's contribution is the most complete at our disposal. The following text was originally published as: "Ibn Khaldun (A.D. 1332-1406/A.H. 732-808)" , by Abdesselam Cheddadi, in Prospects: the quarterly review of comparative education (Paris, UNESCO: International Bureau of Education), vol. XXIV, no. 1/2, 1994, pp. 7-19. © UNESCO: International Bureau of Education, 2000. Our republishing of the article relies on the authorisation embedded by the publisher according to which the document may be reproduced free of charge as long as acknowledgement is made of the source. The version we republish hereafter was reedited and revised; we publish it with a slightly different title, new images and captions. Click here for the original version (PDF format): English version and French version. At first sight, the place held by education in Ibn Khaldun's sociology appears uncertain to say the least. What today we understand by the term ‘education'—the replication of individuals and groups, firstly at the level of values and secondly at that of knowledge and know-how—is found in the Muqaddima only in a scattered and incomplete fashion, in an order and pattern whose meaning escapes us at first sight. More important, Ibn Khaldun makes no use of a general concept in speaking of education. This is all the more surprising as he accustoms us elsewhere to a systematic approach to the main phenomena of life in society. However, upon closer view we discover that this ambiguity and these lacunae in fact reflect the state of the Muslim system of education, and we are forced to admit that, in this field as in many others connected with the knowledge of Muslim society, Khaldun's contribution is the most complete at our disposal. The education system in Muslim societies was without a doubt one of the most extensive and most developed of all those prevailing in pre-industrial societies, which was due to the very nature of Muslim society itself. Compared to agro-literate societies contemporary with it, Muslim society stands out for its more flexible and less hierarchically organized structures. The body composed of scholars and the literati was open, non-centralized, non-hereditary, non-exclusive, with a fluid organization that implied no formal hierarchy , thus giving rise to a relatively broad education and teaching system that in many ways prefigured our modern systems . Like the society itself, the education system was both segmented and unified. It was a reflection of the profound separation between the rural and urban worlds: agrarian or agro-pastoral communities of peasants and stock-breeders on the one hand, and an urban society of merchants, artisans, clerics and State civil servants on the other. And, at the same time, it was unified by the common adherence to Islam, identification with which was tangibly represented by the universal Koranic teaching that was virtually obligatory for all. Though education was informal and imparted by the family and the community in rural areas and among the urban poor, there was formal schooling for the children of the mercantile, clerical and political élite. Children were frequently placed under a tutor or received longer, more diversified instruction in a school that went well beyond the teaching of the Koran and the rules of religious practice. Independently of this education of children and without any structural connection between the two, there was also vocational teaching to prepare the learned for various professions. Theoretically available to all, covering all fields of knowledge both ancient and Muslim, homogeneous in its methods, it came to form part of institutions only on a partial basis and at a late date . It is within this educational setting that the madrasa (college), the model of the medieval university in France and Italy and of the English ‘college'  — which was later to give rise to the modern university—came into being. 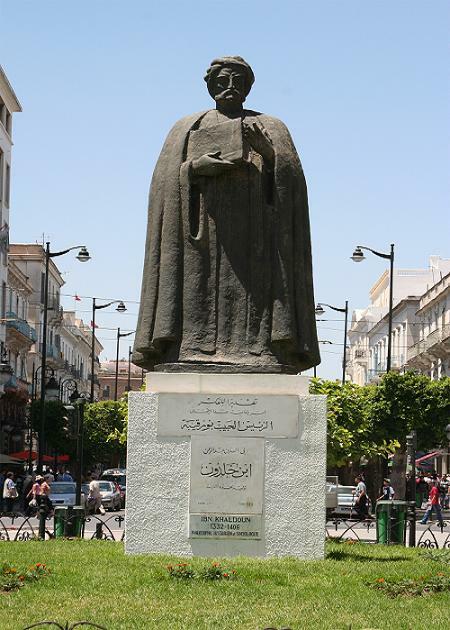 Figure 1: Statue of Ibn Khaldun in Tunis, capital of Tunisia. (Image in the public domain). This basic education, religious above all, and this system of the replication of scholars, was paralleled by what could be called a system of general adult instruction. In Islamic thought, education, which here takes in religion and morals, is a process that ends at no determined stage or age but lasts an entire lifetime, as expressed in the saying attributed to the Prophet Muhammad: ‘Learn science from the cradle to the grave'. Such figures as that of the literate man (adib), the pious man, the fakir or dervish, and that of the burgher or governor consorting with the learned, so typical of Muslim society, owed a great deal to this system of general instruction based on such institutions as the mosque or the zaouia, and carried forward by such people as the sermon-writer (khatib, wâ'iz), the poet, the religious reformer or the saint, and by a vast literature of popularizations made up of literary anthologies, encyclopaedias, local or general histories, biographical dictionaries, pious works, mystical treatises, etc. The educational and cultural Islamic system led to the production of an abundant literature setting forth its organization and functioning, analysing its standards and values. Philosophers such as al-Farabi  and Miskawayh  proposed a theory of education whose end was to allow human beings to reach the perfection proper to their nature. At another level, al-Mawardi  proposed an education programme reconciling worldly and religious interests, and al-Ghazali , in his celebrated Hiyal' alum al-din [The Revival of the Religious Sciences], formulated a theoretical basis and devised a practical method for attaining the religious ideal of the good Muslim. All these educational theories, in line with a tradition that goes back to Graeco-Roman antiquity, are interested in the human being per se, considered in every aspect of his or her being. They do not concentrate on a particular stage of human life or a particular type of instruction or institution; they lay down a number of fundamental educational principles, though in a subsidiary and cursory manner: the restrained use of authority and corporal punishment, the need to awaken the child's interest, the value of example, and progression in learning. Above all, they insist on the importance of the pedagogical relationship and define the respective roles and duties of master and student. Figure 2: In 2006, during an exhibition commemorating Ibn Khaldun and taking place on the 600th anniversary of his death, the façade of Pedro I's Palace in Sevilla, Spain, was illuminated with projections of images that recall the life and culture of the historian's times. (Source). Thus, in Islamic thought education was perceived as a matter that, during infancy, devolved upon the family, especially the father, whereas in adulthood it became the individual's own responsibility. Yet no clear awareness of a unified system of education as a fundamental component of the social system bringing together all aspects of the replication of individuals and groups had come into being. The accent was placed rather on the individual soul, which had to be corrected (taqwim), improved (tahdhib), reformed (islah) and healed of its sickness (mudawat). General concepts such as ta'dib (educate) or ta'lim (instruct) concerned individuals and comprised acts or relations involving person-to-person relationships. There was no generic term designating education as a social institution or the education system as a set of institutions, practices and items of knowledge, which in any case was not specific to Muslim society. Such a concept, together with the reality behind it, is closely linked to the emergence of modern nations and States, one of whose principal duties is in fact to manage and develop education . Faithful to the general position he takes in the Muqaddima, that of a ‘science of human society' (ilm al-ijtima' al-insani), Ibn Khaldun approaches education neither as a philosopher, a religious thinker, a moralist nor as a jurist—the four approaches adopted by Muslim thinkers who considered the phenomenon of education—but as a sociologist and historian. Yet, while his approach faithfully reflects the fundamental structural features of the Islamic education system (separation of the rural world from the urban world, discontinuity between the training of the person and training for a trade, and the cowardly and badly structured character of educational institutions), it does not apprehend the education system as forming a whole. The aspects of education that we would today classify under the reproduction of values are scattered throughout those chapters of the Muqaddima devoted to social organization and dynamics, power, and rural and urban ways of life. On the other hand, the aspects involving training, knowledge and knowhow are brought together in the two successive chapters dealing with the arts and sciences. Figure 3: The opening two pages of the Arabic manuscript Suppl. 359 of the world history of Ibn Khaldun: Kitab al-'Ibar wa-diwan al-mubtada' wa-al-khabar fi ayyam al-'Arab wa-al-'Ajam wa-al-Barbar. 261 leaves; 26.5 x 17.5 cm, written in various hands, copied in 1140 H/1728 CE. Housed at Beinecke Rare Book and Manuscript Library, Yale University, New Haven, CT. (Source). The well-known concept of ‘asabiyya, generally rendered as esprit de corps, solidarity or cohesion, is rarely seen other than from the sociological standpoint. But it also has to do with the world of values. It may even be said that this concept is the underlying value in tribal society, as it is the source of all forms of cohesion in a society organized according to an interlocking principle. The foundations of asabiyya are what Ibn Khaldun calls nura (kinship), the feeling of affection for and attachment to close relatives and all who are of the same blood . When a relative suffers an injustice or is attacked one feels humiliated and leaps to his or her defence in the same natural reflex that causes one to reciprocate aggression against oneself. Ibn Khaldun calls it a natural tendency that has always existed in human beings. It transmits itself spontaneously from one generation to the next and needs to be neither learned nor taught. It is to be found at the deepest level of a sort of instinct of preservation. But Ibn Khaldun admits that the relations that people are forced to maintain between themselves out of vital necessity are orderly and obey rules and laws. One of the functions of thought is to ‘allow people to acquire, through their dealings with their fellows, knowledge of what they must do and what they must not do, of what is good and what is evil' . Thanks to ‘empirical intelligence' individuals are capable of discovering for themselves the rules and values that must guide their acts and their social life; but, as Ibn Khaldun points out, this would take too much time, ‘as everything that depends on experience requires time' . A much shorter way lies in imitating one's parents, teachers and elders in general. Ibn Khaldun thus poses the problem of the reproduction of values at the most general level, placing himself at the point of view of the individual, however, not that of society, without considering the social function of the reproduction of values as such. He fails here to disengage himself from a general attitude we find in philosophers, religious thinkers and moralists, one that might be called ‘edifying'. Figure 4: Autograph of Ibn Khaldun (upper left corner) on a manuscript of his Muqaddima. (Source). Individual improvement and salvation are the aims here, requiring the acquisition of certain forms of behaviour and the assimilation of certain rules and values. Ibn Khaldun does not state exactly which ones, but it can safely be affirmed that he means here what Muslim thinkers commonly call the adab, ways of doing, social conventions or rules of behaviour. The adab reach into all fields of human activities and behaviour. They have been codified down to the smallest details, as can be seen in al-Mawardi and al-Ghazali, forming a part of that broad, permanent moral and religious mechanism for human education referred to above. In other respects, Ibn Khaldun adopts an approach that could without hesitation be described as sociological. It can be illustrated by three examples—examples in which he analyses the courage of rural folk, the corruption of urban dwellers and the phenomenon of imitation. Courage is a cardinal virtue among country people, he observes. They have neither militia nor walls nor gates. They see to their own defence, bearing arms and keeping themselves on the alert at all times. In them, therefore, ‘daring has become a character trait, and courage second nature'. Among townsmen, however, this virtue is nearly absent since they are brought up in a state of dependence, sheltered behind their walls and protected by their militia and their governors; they are used to peace and comfort. In addition, their spirits are weakened and their courage annihilated by the weight of the constraints imposed on them by ‘governmental and educational laws' . Figure 5: Front cover of the most recent edition of the Arabic text of Ibn Khaldun's Muqaddima, edited by Abdessalam al-Shaddadi. (Casablanca, 2005). Corrupt morals are virtually inescapable for urban dwellers. An affluent life leads to the search for pleasure, the appearance of new habits and of new needs. These become increasingly difficult to satisfy, particularly when dynasties decline and taxes become heavier. Townspeople use any means, good or bad, to cope, ineluctably entering ‘the ways of immorality' . In rural areas, on the other hand, a life of making do with necessities constantly calls for control over appetites. The vices and defects that can be acquired are few compared to those of townspeople, and country people remain close to their original natural state and are more inclined to good . Imitation is held by Ibn Khaldun to be a general phenomenon: the dominated always imitate those who dominate them. This is true of children vis-à-vis their parents, pupils vis-à-vis their teachers, subjects vis-à-vis their princes and dominated nations vis-à-vis dominant nations; it holds true as much for custom and behaviour as for all aspects of civilization. Ibn Khaldun finds the explanation for this phenomenon in the fact that the dominated believe in the perfection of those who dominate them . In all three examples the question of values and their transmission is no longer presented as an exclusively individual matter. The courage of rural folk, like the corrupted morals of townspeople and the phenomenon of imitation, do not depend only on subjective will, nor are they the result of incitement: they are the outcome of actual conditions. As can be seen, without stating the matter explicitly or systematically, Ibn Khaldun deals with all aspects of the reproduction of values in Muslim society. He begins by assuming, in a sort of philosophical anthropological postulate, that human beings, who are endowed with the faculty of thought, organize their relations with the world and each other according to laws and rules that each individual learns through his or her own personal experience, and especially by impregnation from the family and cultural milieu. At the same time, he reveals deeper values, connected with the very functioning of society, whose reproduction occurs independently of individual wills. Lastly, it is important to note that Ibn Khaldun brings up twice, although both times in an incidental manner, the matter of the inculcation of religious values. Speaking of the consequences of Koranic instruction on mental development, he points out that it has become ‘the symbol of Islam in all Muslim cities', as it allows articles of faith to be inculcated in the heart of the child from the tenderest age. In his analysis of the methods practised in the various regions of the Muslim world he stresses the ‘total' linguistic ‘deficiency' to which precocious Koranic instruction leads, particularly when it is unique and exclusive, as it was in the North Africa. He approves, at least in theory, of the reforms proposed by Abu Bakr Ibn al-Arabi, whereby the child would first be taught language and the rules of calculation, but he finds that such ideas clash with habits too deeply ingrained to allow those ideas to be implemented , thereby confirming one of the structural features of the Islamic education system, namely that of the basically religious nature of the instruction given to children and of the discontinuity between that instruction and the training of scholars. Moreover, when examining the matter of faith and works in the chapter he devotes to theology, Ibn Khaldun gives a personal interpretation of it based on his theory of habitus (malaka, see ‘Learning the Arts' below). In substance, he says that what is required in faith and works is not just a formal declaration or mechanical gesture but a ‘knowledge of state', a ‘permanent disposition', an ‘indelible colouring' of the soul . The essential task of the religious institution is to lead the individual towards such a realization. Ibn Khaldun leaves it up to men of religion to determine and describe the exact practical rules and procedures. Ibn Khaldun deals with the learning of trades and the teaching of the sciences in connection with the ‘means of existence' argument and the general table of the sciences of his time that drawn up in the last and very long chapter of the Muqaddima. It is not certain that he would agree with our reconciliation of the two, since he sees technology as a field of knowledge and of thought linked to action and consequently inferior to science, which is pure speculation. In Ibn Khaldun's theory of society the development of the arts (i.e. the trades, in the language of the period) and the sciences corresponds at the human level to the perfection of the spiritual nature and at the social level to the final stage of the gradual transition of society from the rural order to the urban order. The gulf between the rural and urban worlds is perceived as a natural consequence of the passage from the ‘necessary' to the ‘superfluous', from the ‘simple' to the ‘complex'. Rural society, being satisfied with the necessary, cultivates only the simplest of the arts, such as agriculture and weaving; it has no knowledge of writing and the sciences, and though at times some of its members may take an interest in such matters they can never reach perfection . In the cities, the arts and sciences develop as production expands and diversifies, as wealth increases and as a taste for the superfluous and luxury comes into being . Figure 7: Front cover of Ibn Khaldun: An Essay in Reinterpretation by Aziz Al-Azmeh (Central European University Press, 2003). The term art (sina'a) is used by Ibn Khaldun in a very wide acceptation, covering even the vocational and practical aspects of scientific activities. The various arts, presented in relation to ‘the means of existence', are classed according to their uses and their social importance before more systematic exposés are made on the main ones. The religious and intellectual offices, such as those of the judge, the mufti or the teacher, are placed on the same level as the other arts considered as ‘means of existence'. But, as Ibn Khaldun points out , though these are ‘noble' as to their ends, they are generally poorly paid. Ibn Khaldun limits himself here to two remarks: the arts must necessarily be learned from a master; they are highly specialized, and a person who masters one art cannot generally master a second. He does not conceive of technology as a body of knowledge independent of those who possess it. Technique, though understood as something at once practical and intellectual (amr ‘amali fikri), is reduced to a skill that may be learned only by observation and imitation (naql al-mu'ayana). Figure 8: Front cover of the English translation of the famous essay Ibn Khaldun: The Birth of History and the Past of the Third World by Yves Lacoste (Verso, 1997, Paperback). Learning itself is seen by Ibn Khaldun as the acquisition of a ‘habitus' (malaka). He uses this concept, which for philosophers  had an essentially moral and intellectual meaning, very widely to cover a vast field going from language to faith, the arts and the sciences. He defines it as ‘a stable quality resulting from a repeated action until its form has taken final shape' . Habitus are like gradually formed ‘colours' of the soul. They take shape when a person is still in his or her ‘state of natural simplicity'. Once the soul acquires a given aptitude it loses its primary simplicity, its readiness weakens and its capacity to assimilate a second aptitude diminishes. We shall return to this important concept later. The ideas developed by Ibn Khaldun on teaching belong to his encyclopedic presentation of the sciences. This opens with a theory of knowledge and a general presentation of the socio-historical and epistemological bases of scientific development. Then the sciences, categorized as the rational—'those that people can apprehend by virtue of the very nature of thought '  —and the traditional— ‘those founded upon authority'  —are described as to their subjects, their methods, their results and their historical development. Teaching is approached at the end of this enumeration and before the sections on language, the learning of language and the various forms of literary production. Two sides can be distinguished to Ibn Khaldun's presentation, one covering the principles of teaching, the other its methods and content. The learning of language is dealt with separately. At birth, says Ibn Khaldun, we are entirely devoid of knowledge; we are still no more than ‘raw material'. We then gradually gain ‘form' ‘thanks to the knowledge we acquire through our organs'. Essentially ignorant, we fulfil ourselves as human beings only through knowledge. Ibn Khaldun distinguishes three types of knowledge corresponding to as many ‘degrees of thought'. There is practical knowledge, the product of ‘the discerning intelligence', which allows us to act in the world in a controlled fashion; then ‘a knowledge of what we must or must not do and of what is good or evil', which we acquire through our ‘empirical intelligence' and which guides us in our relations with our fellows; and, lastly, theoretical knowledge of everything that exists in the world, which we conquer by our ‘speculative intelligence'. Only this last type of knowledge, the subject of the sciences, gives us the possibility of reaching perfection of soul . The teaching of the sciences is necessary for two reasons: firstly, thorough knowledge of them requires a lengthy period of learning that can be carried out only with the help of teachers ; secondly, their very development requires them to be communicated to others. Ibn Khaldun's pedagogical conception is based on the central concept of the habitus, mentioned earlier in connection with the learning of the arts. Whether it concerns the child or the adult, the practical arts or the sciences, moral or religious values, the aim of all pedagogical action is the formation in the soul of a stable disposition. Once it has been acquired, this disposition will not disappear. Ibn Khaldun often compares it to a dye that lasts until the cloth to which it has been applied is destroyed. All habitus, says Ibn Khaldun, are necessarily corporal. He understands the habitus as something the soul can acquire only through the senses, as opposed to another type of knowledge proper to the prophets and mystics, which can be obtained only through the contemplation by the soul of its own essence. This concerns both the physical and the intellectual aptitudes, starting with the very fact of thinking . The formation of a habitus initially requires continuous repetition until the form is fixed. In order to obtain maximum efficiency, it must be a practice (bi-'l-mubashara) and modelled on the most perfect exemplars with the help of the best teachers, preferably following methods of direct observation (bi-'l-mu'ayana). Ibn Khaldun thinks that the soul has but fairly limited receptivity (isti'dad). For one thing, it cannot receive several ‘dyes' at a time; then, when it has taken on one of these, its capacity to receive others gradually diminishes . Training must thus start from the earliest age, when the soul is still virgin, ‘because the first things to be imprinted into hearts are like foundations for the habitus; and the building's value is determined by that of its foundations' . Accordingly, the choice of content in the earliest instruction is of decisive importance. Moreover, in the field of the arts as well as in that of the sciences, Ibn Khaldun advises strictly against the teaching of more than one subject at a time. Moreover, he points out, observation shows us that ‘it is rare to find a person skilled in one art who is then capable of excelling in another and to the same degree' . Figure 9: Front cover of An Arab Philosophy of History: Selections from the Prolegomena of Ibn Khaldun of Tunis by Charles Issawi (translator) (Darwin Press, 1987). Ibn Khaldun calls attention to another important factor in the formation of habitus, namely that of authority. An overly severe attitude on the part of the teacher leads to the most harmful consequences, particularly for young children. In this connection, he cites the situation of slaves, servants and oppressed nations. Constraint and oppression break the character, sap energy and in the end destroy their subjects' capacity for realizing ‘their destiny and their full humanity' . He therefore recommends moderate use of authority and punishment, taking into consideration the personality of the pupil and the need ‘to instruct without afflicting the pupil and killing his or her spirit'. Finally, habitus can be either good or bad; they may take the form of either virtue or vice, good or evil, good taste or bad, refinement or crudeness, clarity and exactness or confusion. They also differ in degree, depending on the quality of teaching and of the models imitated and on the general level of development of the civilization. The question of the teaching of the sciences Ibn Khaldun approaches from his concept of the habitus. In order to master any discipline and fully possess it, he says, it is necessary to acquire ‘a habitus that allows the principles and rules to be grasped, problems to be fully understood and secondary questions to be drawn from principles' . The formation of such a habitus demands a rigorous approach in which must be taken into consideration the student's ‘receptivity' and power to assimilate, together with the quantity of information contained in the subject to be taught and its complexity. Ibn Khaldun considers that the process must take place in three progressive stages, whose object and means he is careful to explain . The first of these is a preparatory stage. Its object is to familiarize the student with the subject being taught and to prepare him or her to grasp its problems. This stage is limited to giving an overall view of the subject and emphasizing its main points. Explanations must be kept simple and general and allow for the student's capacity for understanding and assimilating. Figure 10: Frontispice of the English translation from Arabic of the Muqaddima of Ibn Khaldun in 3 volumes by the Yale University Professor of Near Eastern Languages and Civilizations Dr. Franz Rosenthal (1914-2003): The Muqaddimah : an introduction to history (New York: Pantheon Books, 1958). The second stage goes deeper. Now the subject must be looked at from every angle and generalizations transcended. Explanations and commentaries must be exhaustive and all divergent points of view examined. The third stage is that of consolidation and mastery. The subject is again studied, in extenso, from the beginning, but this time the most complex and obscure points are gone into. Ibn Khaldun lays great emphasis on the principle of the progressive approach. He says it is a serious error to begin by the most abstruse problems, as do many teachers who take no account of the student's state of preparation. Such a practice is most harmful, as the student tires rapidly and becomes discouraged. Worse still, in the belief that the difficulties encountered are intrinsic to the subject, he or she turns away from and abandons it. Going further into the matter, Ibn Khaldun perceives clearly that the inculcation of a body of knowledge is inseparable from the development of the mental aptitudes necessary for that knowledge to be assimilated. As he points out: ‘At the beginning the student is literally incapable of understanding anything at all, except for a very few points that, in any case, he or she grasps only in an approximate and summary manner, when they are explained with examples drawn from sensory experience. Then the student's readiness gradually develops: the problems of the subject become more familiar with every repetition, and he or she then goes from approximate knowledge to an ever deeper assimilation' . Ibn Khaldun supplements these general principles with a number of practical recommendations. He recommends to teachers that they present their students with consistent teaching material suited to their capacities, keeping to the works selected for the course and seeing to it that they are completely assimilated before passing on to others; not teaching two subjects at the same time, not stretching out the study of a subject over too long a period, in order not to break the interdependence between its different facets. He advises students not to ‘dwell on disputes over words' and especially not to weigh themselves down with formal logic. ‘Indeed', he says, ‘the only natural means of attaining truth is the natural readiness to think, once it is relieved of all false ideas and the thinker places his or her entire confidence in divine mercy. Logic is nothing more than a description of the act of thinking and in most cases follows it' . On the question of the content of science teaching, Ibn Khaldun limits himself to a few remarks inspired by the actual state of education in his time. He denounces three abuses: the overload of work imposed on students; the excessive importance given to the ‘instrumental sciences'; and the use of précis. The sciences, particularly religious and literary science, had undergone considerable development under Islam, and Ibn Khaldun describes it in detail. In agreement with his contemporaries, he judges this development to have reached its apogee and its term . How and in what form should the enormous accumulated corpus be transmitted? During the preceding centuries sustained efforts had been made to devise adequate didactic forms: syntheses, treatises, précis and commentaries. For each subject there was a plethora of works available. Each school of thought or trend had its own collection, often with methods and terminologies that were peculiar to it. Ibn Khaldun wondered how the average student could be required to assimilate it all. Teachers, he suggests, should limit themselves to teaching their students the subject-matter of their own schools. But he barely believes in this solution himself, ‘owing to force of habit'. Précis do not seem to him to furnish an effective remedy; on the contrary, they only increase the harm done. Intended to ‘facilitate memorization for students, they render the task harder for them'. Ibn Khaldun makes two reproaches: by trying to ‘fit a maximum number of ideas into a minimum number of words', they are injurious to the quality of expression and lead to comprehension difficulties; and they sow confusion in the students' minds ‘by presenting them with the ultimate findings of a subject before preparing them to take in those findings' . Faced with such a situation, it is understandable that he should speak out against the propensity of his age to dwell on the study of the sciences described as ‘auxiliary' or ‘instrumental'—such as grammar, logic and legal principles. These are theoretically only means to be placed at the service of the fundamental sciences that are sought for their own sakes. Thus, philology and arithmetic should serve the religious sciences, while logic and philosophy should be similarly available to theology. Too much time spent on the religious sciences is only further weighing down the burden borne by students and distracting them from the essential . This view of education is not seen by Ibn Khaldun as being linked to institutions or places. It appears rather as a private, individual matter at the level of each of its three components: science, teachers and students. The individual soul fulfils itself in and through knowledge. The invention and development of the sciences meets a spiritual necessity above all. Though perfectible, the sciences are conceived as constituting a closed universe, or at least one tending towards a certain completion. The greater part of scientific activity must be devoted to the task of organizing the various fields of knowledge into individualized subjects capable of being transmitted. Thus of the objects assigned by Ibn Khaldun to ‘the composition of works', five out of eight deal with organization and the transmission of knowledge: definition of the subject, the systematic exposé of results, the righting of errors, commentary and summary . With the progress of civilization, science became professionalized, organizing itself according to principles and rules, making use of a specialized methodology and terminology; it was practised as a trade. When Ibn Khaldun attempts to trace out a history of education, he concentrates on the sanad, i.e. the network of teachers, across space and time, who guarantee the quality of the knowledge transmitted. Moreover, the history of the sciences is essentially epitomized for him in that of the basic works that have been composed within each subject, with their main commentaries and abstracts. Thus on the one hand, and within each subject, there are a number of established works; on the other, chains of authorities to transmit them: this sums up the institution of education. Ibn Khaldun barely mentions such places as colleges (madrasas) or convents (khanqas, rubut), which he considers only in the role of material assistance to students and teachers (board and lodging) . Thus indirectly, and several centuries in advance, he confirms one of the invariable structural features of the education system in Muslim societies, namely the precarious nature of its institutions. Abdesselam Cheddadi (Morocco) was professor in the Faculty of Educational Sciences at the University Muhammad V, Rabat. Translator of the autobiography of Ibn Khaldun under the title Le voyage d'occident et d'orient [The Journey to West and East] (1980), extracts from the Kitab al-Ibar, under the title Peuples et nations du monde [The World's Peoples and Nations] (2 vols., 1986), and numerous studies on aspects of the thought of Ibn Khaldun. He is also the editor of the Arabic text of Ibn Khaldun's Muqaddima (Casablanca, 2005, 3 vols.). The author's original title was ‘Education in Ibn Khaldun's Muqaddima'. Cf. E. Gellner, Nations and nationalism, Oxford, Basil Blackwell Ltd., 1983, pp. 11-18, 29-35. Cf. G. Makdisi, The Rise of Colleges, Edinburgh, Edinburgh University Press, 1981; The Rise of Humanism in Classical Islam and the Christian West, Edinburgh, Edinburgh University Press, 1990. See H.J. Cohen, The Economic Background and Secular Occupations of Muslim Jurisprudents and Traditionists in the Classical Period of Islam (until the Middle of the Eleventh Century), J.E.S.H.O., January 1970, pp. 16-61; J.E. Gilbert, The Ulama of Medieval Damascus and the International World of Islamic Scholarship, Ph.D. dissertation, Ann Arbor, University Microfilms, 1977. See particularly Ara' ahl al-madina al-fadila [The Opinions of the Inhabitants of the Virtuous City] and Kitab tahsil as-sa'ada [The Book of the Attainment of Happiness]. A profile of al-Farabi is included in this series of ‘100 Thinkers on Education'. See Kitab tahdhib al-akhlaq [The Book of Moral Education]. See Adab ad-dunya wa-d-din [The Rules of Propriety for the Wordly Life and the Religious Life]. A profile of al-Ghazali is included in this series of ‘100 Thinkers on Education'. E. Gellner, op. cit., pp. 35-38. Cf. Muqaddima Ibn Khaldun, ‘Abd al-Wahid Wafi, Cairo, undated, Vol. II, pp. 484-85; French translation by Vincent Monteil, Vol. I, pp. 256-58; English translation by F. Rosenthal, Vol. I, pp. 264-65, (hereafter designated as Fr. tr. and Engl. tr). All quotations from the Muqaddima given in the present essay were translated from Arabic to French by the author. Muqaddima, III, pp. 1012-13; Fr. tr. II, p. 878-80; Engl. tr. II, pp. 417-19. Ibid., III, p. 1012; Fr. tr., II, p. 878; Engl. tr., II, p. 418. Ibid., II, pp. 478-81; Fr. tr., pp. 249-54; Engl. tr., pp. 257-61. Ibid., II, p. 888 ff. ; Fr. tr., II, p. 765 ff. ; Engl. tr., II, p. 291 ff. Ibid., II, pp. 474-79; Fr. tr., I, pp. 246-51; Engl. tr., pp. 253-58. Ibid., II, pp. 510-11; Fr. tr., I, pp. 291-92; Engl. tr., pp. 290-300. Ibid., III, pp. 1249-53; Fr. tr., pp. 1222-26; Engl. tr., III, pp. 300-05. Ibid., III, p. 1072 ff. ; Fr. tr., III, p. 965 ff. ; Engl. tr. III, p. 39 ff. Ibid., II, pp. 935, 961; Fr. tr., pp. 816, 847; Engl. tr., II, pp. 346, 378. Ibid., II, pp. 936-39; Fr. tr., II, pp. 817-19; Engl, tr., II, pp. 347-49. Ibid., II, pp. 925-26; Fr. tr., pp. 805-07; Engl. tr., pp. 334-35. See Avicenna, for example, in Shifa'. Muqaddima, II, p. 935; Fr. tr., II, p. 816; Engl. tr., II, p. 346. Ibid., III, pp. 1025-26; Fr. tr., II, p. 897; Engl. tr., II, p. 436. Ibid., III, pp. 1008-09; Fr. tr., II, pp. 873-75; Engl. tr., II, pp. 411-13. Ibid., III, pp. 1017-18; Fr. tr., pp. 887-88; Engl. tr., II, pp. 424-426. Ibid., III, p. 1019; Fr. tr., II, p. 889; Engl. tr., II, p. 426. Ibid., II, p. 942; Fr. tr., pp. 824-25; Engl. tr., pp. 354-55. Ibid., III, p. 1249; Fr. tr., II, p. 1222; Engl. tr., II, p. 301. Ibid. , III, pp. 1253-54; Fr. tr., III, pp. 1226-29; Engl. tr., pp. 305-07. Ibid., III, p. 1019; Fr. tr., II, p. 888; Engl. tr., II, p. 426. Ibid., III, pp. 1243-45; Fr. tr., III, pp. 1218-21; Engl. tr., III, pp. 292-94. Ibid., III, p. 1248; Engl. tr., p. 298. Ibid., III, p. 1027; Fr. tr., II, p. 901; Engl. tr., II, p. 439. Ibid., III, p. 1242; Fr. tr., p. 1217-18; Engl. tr., p. 291. Ibid., III, pp. 1248-49; Engl. tr., pp. 298-300. Ibid., III, pp. 1237-40; Fr. tr., III, pp. 1211-14; Engl. tr., III, pp. 284-88. Ibid., III, pp. 1021, 1025; Fr. tr., II, pp. 892, 897; Engl. tr., II, pp. 430, 435. Kitab al-Ibar [The Book of Advice]. Ed. by N. Hurini. 7 vols. Cairo, Bulaq, 1867 (H. 1284). Muqaddima Ibn Khaldun [Ibn Khaldun's Introduction to History]. 4 vols. Cairo, Abd a-Wahid Wafi, 1957. Shifa' as-sa'il li tahdh ib al-masa'il [Satisfying Questions on the Correction of Problems]. Istanbul, M. Ibn Tawit at-Tanji, 1958.
at-Ta rif bi-Ibn Khaldun wa rihlatuhu gharban wa sharqan [An Introduction to Ibn Khaldun and His Travels in West and East]. Cairo, M. Ibn Tawit at-Tanji, 1951 (H. 1370). Tarikh ad-duwal al-islamiya bi-l-Maghrib [A History of Islamic Countries in the Maghreb]. Algiers, W.M. de Slane, 1847 (H. 1263). Les Prolégomènes d'Ebn Khaldoun [The Prolegomena of Ibn Khaldun]. Fr. tr. W.M. de Slane. 3 vols. Paris, 1863. Ibn Khaldun: discours sur l'histoire universelle [Ibn Khaldun: a Presentation of Universal History]. Fr. tr. by V. Monteil. 3 vols. Beirut, 1967. The Muqaddima: an Introduction to History. Engl. tr. by F. Rosenthal. 3 vols. Princeton, N.J., 1958, new ed. 1967. La voie et la loi ou le maître et le juriste [The Way and the Law of the Master and the Lawyer]. Fr. tr. from Arabic presented and annotated by René Pérez. Paris, Sindbad, 1991. Le voyage d'occident et d'orient : autobiographie [Travels in West and East: an Autobiography]. Fr. tr., introd. and notes by Abdesselam Cheddadi. Paris, Sindbad, 1980. Ahmad, A. The Educational Thought of Ibn Khaldun. Journal of the Pakistan Historical Society (Karachi), Vol. XIV, 1968, pp. 175-81. Berque, J., Ville et université: aperçu sur l'histoire de l'Ecole de Fès [Town and University: a Glimpse on the History of the Fes School]. Revue historique de droit français et étranger (Paris), 1948-1949, pp. 64-117. Buhs, H., The Educational System of the Muslims in the Middle Ages. Islamic Culture (Hyderabad), Vol. 1, 1927, pp. 442-72. Bulliet, R., The Patricians of Nishapur: a Study in Medieval Islamic Social History. Cambridge, Mass., Harvard University Press, 1972, pp. 249-54. Keddi, N., (ed. ), Scholars, Saints and Sufis. Berkeley, Calif., University of California Press, 1972. Muhasib, J., At-Tarbiya ind Ibn Khaldun [Education according to Ibn Khaldun], al-Mashriq, XLIII, 1949, pp. 365-98. Qurayshi, M.A., The Educational Ideas of Ibn Khaldun. Journal of the Maharaja Sayajirao University (Baroda), Vol. XIV, 1965, pp. 83-92. Sourdel, D.; Makdisi, G., (eds.). L'Enseignement en Islam et en Occident au Moyen Age [Education in the Islamic World and in the West in the Middle Ages]. Revue des Etudes Islamiques (Paris), special issue, Vol. XLIV, 1976. Tibawi, A. L., Philosophy of Muslim Education. Islamic Quarterly (Hyderabad), Vol. IV, No. 2, 1957, pp. 78-89.